Two teenage boys were taken to hospital Monday afternoon after an assault at a Winnipeg high school, police say. Officers were called to St. John’s High School around 2:30 p.m., police said in a news release. Two boys were taken to hospital in stable condition, the release says. 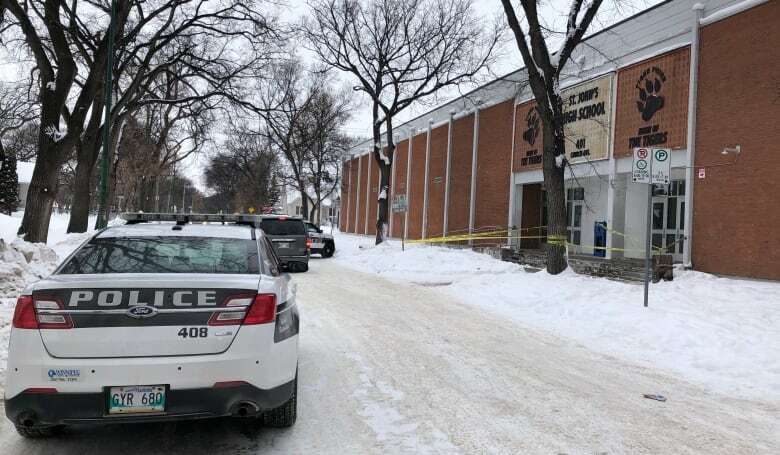 Radean Carter, senior information officer at the Winnipeg School Division, confirmed the incident was an altercation between three students, two of whom were taken to hospital. The school was under a hold-and-secure following the incident, Carter said. It was lifted around 3:05 p.m.
Investigators are still at the scene, he said. Around 3:30 p.m., police tape was up around the steps to the school. Police are likely to release more information on Tuesday, he said.